I am not artistic. That is what I have always said, usually with a self-deprecating smile. Then I would murmur something about being unable to draw a straight line and mention that my stick figures are unrecognizable. It is true, I can't draw and my crafting skills are abysmal. My children were outdoing me by the time they were three. You haven't learned humility until your toddler has kindly and tactfully praised your play-doh creation and you have resisted the urge to agree that yes, it is a doggy, when really you meant it to be a lion. I am not artistic. That is what I have always said, until last week when I was showing my son the new photography book that had come in the mail. He looked at the book and at my laptop, open to the blog post I was writing and he said "You know, you are artistic, you just aren't crafty. 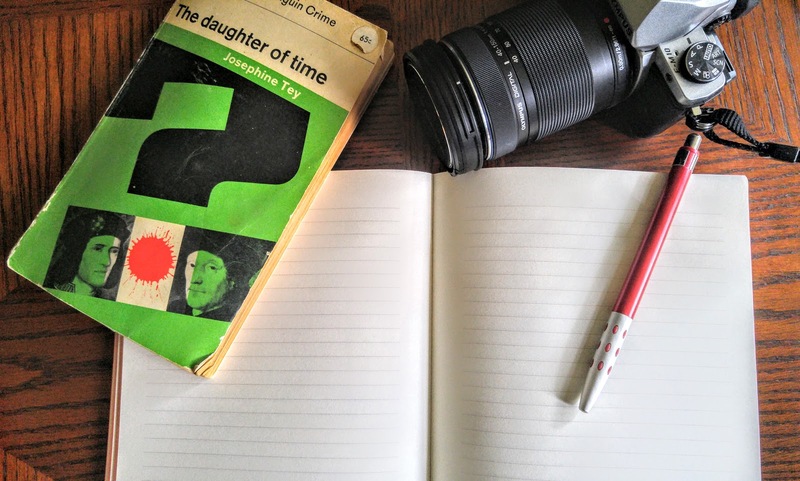 Writing and photography are both artistic things." It sounds so basic. They are both artistic but I never thought of it that way. I looked up the definition of artistic. It is "having or revealing natural creative skill." Some synonyms are creative, imaginative, inventive, expressive. Nowhere in that definition does it say you have to be able to make a recognizable lion out of play-doh in order to be artistic. I can be creative and expressive. I just can't draw. There are so many ways to be artistic and so many things we can use to create. The carpenter creates out of wood, the baker out of flour and butter, the storyteller uses words, the list goes on and on. When you broaden the definition of artistic it becomes clear how many things fit that definition. The problem is, like so many things, we frequently yearn after the forms of art that don't come naturally to us. Because I can't draw or sing I discounted the fact that I like to work with words and that I am discovering an interest in photography. However, both of those are creative outlets, they are artistic. And nowhere in the definition of artistic does it say that you have to excel in order to be artistic. Of course there are artistic geniuses but most of us are just creative. Just creative. That is a contradiction, isn't it? There is nothing simple or negligible about any form or degree of creativity. We need to appreciate it for what it is. It is art, big or small. I am not crafty. A table filled with glue sticks, drawing pencils, construction paper, and glitter brings me out in hives. I am artistic. I am imaginative, expressive, and creative. I'm glad your son spoke up! We often don't recognise our skills, even if we see them when they're reflected in someone else. Glad your perception is starting to shift - you seem quite creative based on the blog posts I've read. It is so easy to denigrate abilities in ourselves and admire the skills others have. I still have trouble associating the word creative with myself but I am working on it! Absolutely! Writing is creative as well. This reminds me of what my mum always says, "oh I'm not at all creative, not like you." When we were little she knitted and sewed all our clothes. She once taught herself to crochet so she could make me the blanket that I still sleep under when I visit her house. She bakes endless amazing creations... but no, according to her she's not creative because "all I do is follow a pattern or recipe." Funny how we often don't recognise our own special talents. Your mom sounds very creative to me. Baking and knitting and sewing are all creative pursuits. I think we tend to believe we are only creative if we have an amazing inherent talent and we discount the things we have to learn how to do. That is unfair though because many artistic people have to learn their art. We are just admiring the end result. My mom is one of the most crafty people you can imagine, but a grade school teacher told her she wasn't any good at art sixty years ago, and she's been convinced she's not artistic ever since. Photography is one of my favorite hobbies too, and while I'm not really great at it, I do enjoy it. Especially taking photos of flowers. I've always enjoyed your photos on this blog, and I look forward to learning from you! He is kind of awesome. I think there are tons of artistic people in the world who never appreciate their own talents because we only admire a certain kind of artistry. I admire the crafty people like your mom. I wish I could do that. She should start a blog and teach me her ways. I would love to see some of your flower photography.